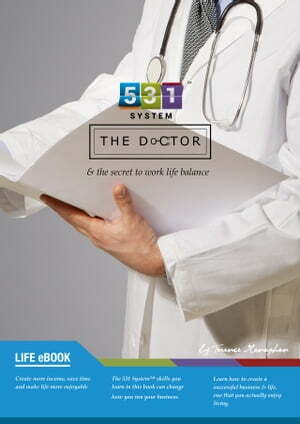 Collins Booksellers - 531 System: The Doctor: & the secret to work life balance by Terence Monaghan, 9781782379003. Buy this book online. This is the story of a doctor who is overworked, with little time off to enjoy life. He knows he’s a great doctor, but he’s getting run down trying to keep on top of it all. A chance meeting with Terence, a self-made multi-millionaire who can turn a business from bust to booming, changes everything. Terence teaches Jack the systems he has developed and used with countless companies and professionals who wanted more money and more time to enjoy life—and achieved both. Follow Jack on this journey as he rediscovers his love for his work and makes more money while finally having the time off to enjoy life. By combining Jack’s story with the practical steps to be taken for financial freedom, this inspiring book gives you a simple yet powerful approach to creating a successful business and life.